Hours: Monday, Wednesday & Friday - 9:00 a.m. to 5:30 p.m.
Saturday - 8:30 a.m. to 1:00 p.m. 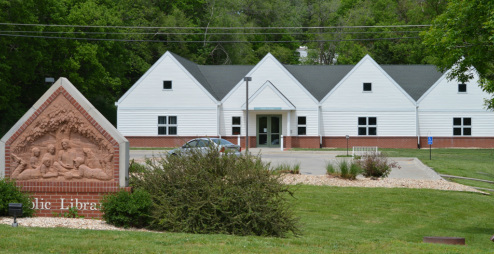 The Tecumseh Public Library collection 16,238 volumes and circulates 10,427 items per year. The library has three internet access computers which can be used for job searching, Facebook or just surfing the internet. The Library utilizes a computerized system to check out books. A community room is also available for rent for meetings or other activities. The Library now offers wi-fi to Library patrons to take on-line classes. The Tecumseh Public Library promotes the Nebraska Summer Reading Program. The Library has recently subscribed to an audio and e-book book website. It is called Nebraska Overdrive. This service is free to members of the Tecumseh Public Library. E-books and audio books can be downloaded to various players and readers. Please call the library for details on accessing this site at 402-335-2060 or for more information on any other programs at the Library.